Director Michele Van Hessen is joined by the innovative artists, Jennifer Malin as Assistant Director and Stage Manager, Dr. Magda Silva as Musical Director, Conductor Darin Workman and Scenic Designer Rosa Strydom to create The Little Mermaid. The score features the classic songs “Part of Your World,” “Kiss the Girl” and the Academy Award® -winning Best Original Song, “Under the Sea,” composed by eight-time Academy Award® winner Alan Menken and his frequent collaborator, the legendary Howard Ashman. There are 11 new songs by Mr. Menken and lyricist Glenn Slater. The book for the new musical is by Pulitzer Prize and Tony Award® -winning playwright Doug Wright. 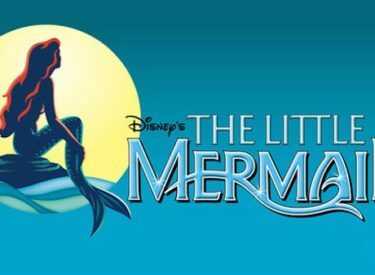 THE LITTLE MERMAID plays three engagements at Seward County Community College’s Showcase Theatre officially opens on Friday, April 5, Saturday, April 6 at 7pm and April 7 at 3pm. The Little Mermaid takes place in a magical kingdom beneath the sea, where a beautiful young mermaid named Ariel longs to leave her ocean home to live in the world above. But first, she’ll have to defy her father, the king of the sea, escape the clutches of her evil sea witch aunt and convince a prince that she’s the girl with the perfect voice. Tickets to the production are currently on sale Tickets $10. 65+/10 and under $8. SCCC Students Free Ticket with courtesy card. Visit the Humanities Office (H116) or call 620-417-1451 to reserve/purchase tickets.